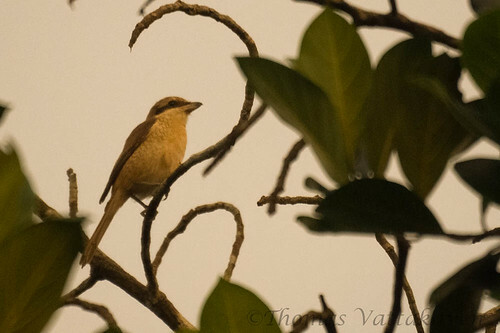 It was at dusk that I came across a bird sitting up on the topmost branches of an Anjili Tree (Artocarpus hirsuta). 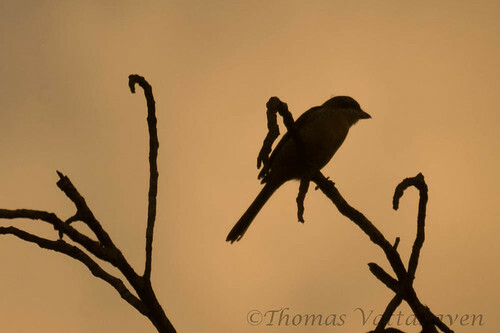 With what was left of the sun streaming in from behind the bird, there was no way to get a clear shot of the bird with all its details. 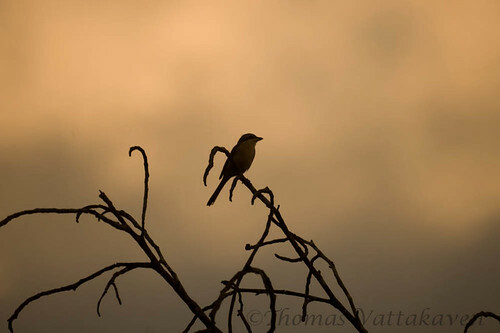 It was only by cropping and post-processing the images that I could see the true colours on the bird. 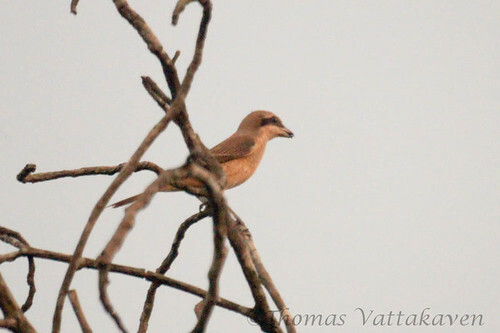 From what I can make of it, it appears to be a Brown Shrike (Lanius cristatus). That’s strange, because this bird is not usually seen in Kerala, let alone Karimannoor. It is a migratory species which travel to the northern parts of India around September and stay on till April. 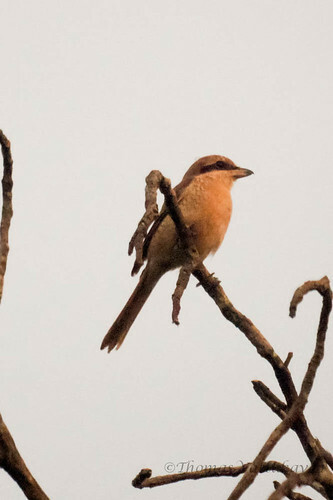 In typical shrike-like fashion, it sat on its perch and flew down upon spotting an insect, caught it and flew back with it in its beak. 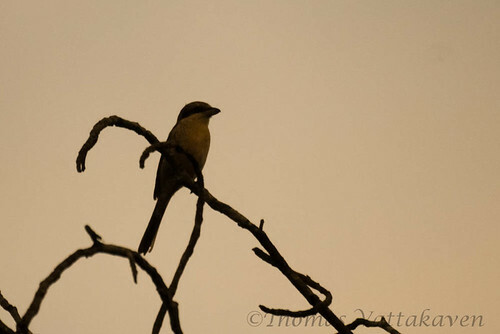 Shrikes are also called “Butcher birds” due to their habit of catching insects and reptiles and impaling them on thorns, where they cache them to create a larder to return to later. 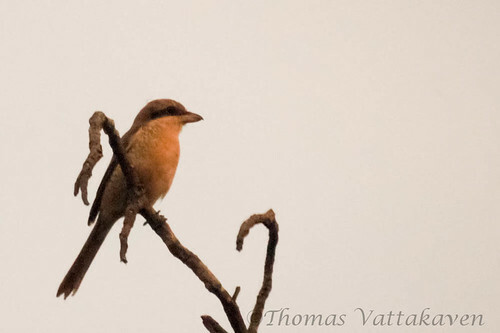 the Brown shrike is known to have a high fidelity to its migratory sites, so I hope this bird becomes a permanent winter visitor to Karimannoor.